The cast and crew of "Fast & Furious 7" have the impossible task of returning to work on the movie this month, almost four months after the death of its star, Paul Walker. Though production was shut down after the actor's tragic accident in November, the stars are going back down to Atlanta this week to finish work on the film. Tyrese Gibson, who plays Roman in the high-octane franchise, tells toofab how the cast plans to honor their late costar ... and how his death has affected them all. "This is the only movie I ever worked on where we are all real close even after the movie is over," he says. "It wasn't just losing a costar, he was family for real. That's why it took so long to recover." Gibson says that he's not going back the same person he was when they stopped filming, adding that "none" of the cast members are. "Hopefully no one else is hurt during filming," he continues. "God's grace is all we have," says Tyrese. "Before we start filming we are going to have a strong prayer. That will be the start, before we film anything. That's what is needed for us to do 'Fast & Furious 7.'" Vin Diesel also recently opened up about getting back to work on his Facebook page. "The transition into that Dom state of mind has always been an interesting one," he wrote. "Only this time there is added purpose, a collective goal to make this the best one in the series." It's unclear how Walker's storyline will be resolved, but it was reported that there are no plans to "kill off" the Brian O'Conner character. Universal will also use footage Walker shot before he died in the final version of the film. 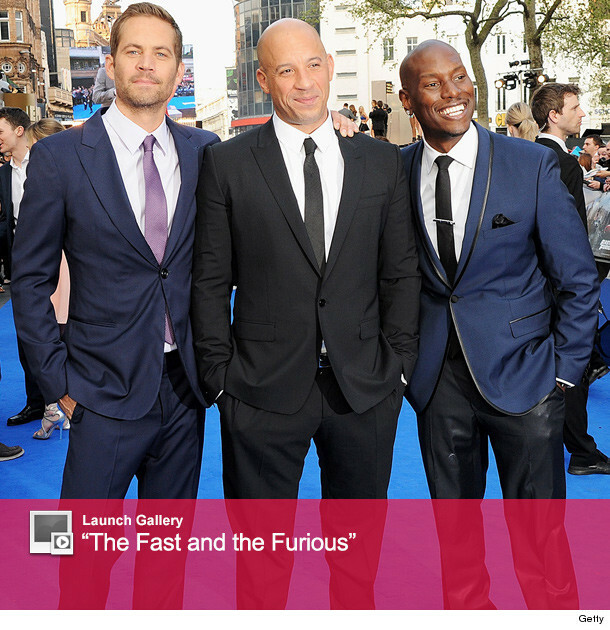 "Fast & Furious 7" will hit theaters April 10, 2015.